Lip sync is an art in and of itself, and a difficult skill to gain proficiency at. I remember as a 2D animator how frustrating it was. We would erase and redraw mouths over and over until we wore holes into our paper. Good lip sync is not a matter of simply hitting all the phonemes on the exposure sheet. That produces a very unnatural feel. Good lip sync is like edgework in a painting. If all the edges in the painting are sharp the painting takes on a very flat and unnatural feel. Edges must be balances between hard, soft and then lost edges. In animation we need to know when to hit the shape hard, then soft, and where to put the slurs, and then when to let them disappear. I would encourage you to begin watching video’s of singers singing. 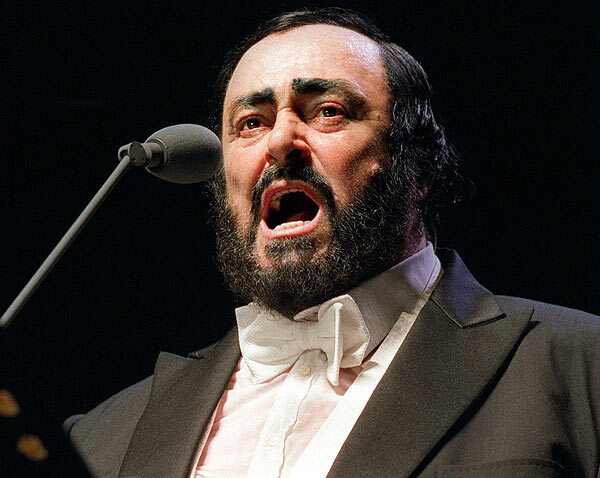 The best performances to watch are the more demanding songs, such as opera. The more demanding, the more of an extreme show the performer will make of their entire body. Some singers like Andrea Bocelli, who I love, is so gifted in singing that he is deadpan in his face and body. Not a good subject to study. Pavaratti is a much better subject because he is very articulate, and the mustache round his mouth makes his articulations visible as very strong shapes. Choral works are very helpful. Camera’s will pan across row of choral vocalists giving us a great opportunity to observe similarities and differences in enunciation and breathing between performers. Any professionally recorded Broadway stage performance will provide a great learning experience because of the wide variety of song types that will be in a language you understand. One final note. Singing requires the whole body. One reason singer’s stand is because their posture affects their performance. Rappers take it to an extreme. Don’t just watch their lips. Watch their eyes, their shoulders, their weight shifts on their legs. When they move, take note how they move and when they move. If we can rise to animating good song-sync on our characters, they will jump into a whole new world. The three most important books that I cut my teeth on, and returned to again and again are these three gems. Working in the hotbed of animation in the 1990’s there were a lot of animation books floating around, and working animators tended to be very critical of these books. These books held the esteem of the most seasoned of animators, including those of the Disney new guard. I can’t sing the praises of this book enough. Penned by Disney legends Frank Thomas and Ollie Johnston, this is the most important book on character animation ever written, and it’s not likely that it will be surpassed anytime soon. I’ve read this book cover to cover more than once, and have returned to it’s pages for 20 years. Some of the most helpful information you can find is in the detailed appendices. And at $40 it’s cheaper than what I paid for it twenty years ago. Illusion of Life at Amazon.com and also Amazon.ca. Walt Stanchfield defined gesture drawing. His voluminous notes from his Disney work was legendary hard to come by. Animators outside the halls of Disney eagerly traded photocopies of his weekly handouts like black market goods. Some copies had been through the photocopier so much that the typewritten text was so blotchy it was hard to read. Today these notes are nicely printed in a book called Drawn to Life. These are a steal at under $25 each. 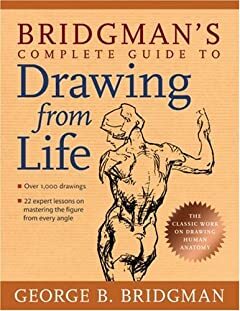 Bridgman was not an animator, nor is this book a book on animation. But it was indispensable to my animation studies. It taught me how to think about the human form in terms of mechanics, weight, rhythm, balance, structure and so much more. Understanding how the human form operates in these terms is not simply about what the body can and can’t do. Any decent 3D rigger can so limit your rig to operate in those movements. The human body is the medium that animators express themselves in. When I first started to oil paint I was already a professional animator with strong drawing and design skills. That first year of putting brush to canvas was torture because I didn’t have a grasp on the oil medium. The human body is that medium in animation, and that’s why this book is a treasure. Good posing requires an animator to think about poses in terms of verbs, emotions and personality, not in nouns. If we are not thinking in verbs and emotions we will tend to draw lifeless, uninspired nouns. Verbs expression action. Verbs put nouns into motion. Verbs force us to look beyond the joints and structural details to see the whole. A sack of flour is a noun. But put that flour sack in the hands of a good animator and that noun will turn into verbs and attitudes, as we see in the classic Disney flour sack. The animator is to be about the business of transforming the nouns of our characters into strong, powerful verbs. In classic animation terms this would be called “successive breaking of joints.” However I find the label unhelpful. The principle is basically a type of overlapping action applied to a character’s moving parts. What does that mean? If Joe is standing still and decides to turn and walk off, the first joint that “breaks” would probably be his neck to turn his head (in fact his eyes would lead his head.) Now his head movement will lead the next joint which would be his torso, followed by his hips, which is followed by his leading leg lifting to counter balance his weight. The joints don’t all start to move at the same time. It might be 8 frames after the head move that the hip makes any significant rotation. That is successive joint movement. Add into the mix his arm movement, which could follow the neck. Perhaps the shoulders lead the torso. The elbow joint follows, then the wrist, then the fingers. This principle is not merely a operation of animation mechanics. It also conveys emotion and personality. If Goofy leads with his feet this could suggest he’s anticipating an opportunity to sneak away. If he struts around with his torso leading his arms so strongly that the arms appear to dangle, this could convey laziness or some sort of cocky, carefree attitude. Leading with the head gives the impression of alertness. Leading with the shoulders or hips are most common and natural. Leading with the feet and hands is more common for sneaky situations or if the character is being led by another character, such as taking one by the hand. If your character doesn’t have successive joint movement they will appear wooden and stiff. This is equivalent joint movement, which is unnatural. It’s a special effect. Characters almost never start or end any motion with all of their joints starting or ending at the same time. We see this when the Road Runner comes to a stop. We see this as an exaggerated effect when a character snaps to attention in the presence of a General, or if they have just been caught with their hand in the cookie jar. One of the key purposes of breakdown poses is to define successive joint movement and overlapping action between key storytelling poses. How a character reaches these poses and then leaves them is the purpose of the breakdown, and they must account for how the joints succeed one another. And these are just as important for conveying personality and emotion as any key. One of the cardinal rules of animation is that good poses make for good performances. An animator once told me that good animation must be interesting to look at on every frame. He should be pull any drawing from a stack of animation and find that drawing filled with personality, emotion and appeal. If the drawings/poses are not interesting, neither will the animation be interesting. You might be thinking, “Well, we’re dealing with motion capture data, so how can posing help us?” Thinking in poses will help you analyse the mocap data and find those key posing elements that you can either massage or support with secondary action. In 2D animation drawings are classified. The animation process demands it. The animator would spend only enough time to draw what was necessary to convey the action and guide the clean-up department in completing the animation. The animator would spend most of his time on creating strong, personality-filled key poses, and those poses would then seep into all the other poses. These are the main poses that convey the character and tell the story. They play the lead roles among all the poses. Every other pose is made to support these keys. The entire scene can be understood simply by looking at these keys. As you analyse your motion capture data you should be able to identify the key poses that are carrying the scene. The eye needs time to read a pose. Any pose less than 8 frames long will be felt rather than read by the audience. The EXTREME pose in it’s most basic function will follow the KEY and extend it’s life so that it’s story can be appreciated and told. The EXTREME also contributes to the caricatured nature of animation. In timing, given that we can only feel 8 frames or less, the extreme takes a KEY pose and pushes it to it’s breaking point, giving it strong movement that we feel rather than see because animators seldom will settle into an EXTREME. If the character is required to settle into a pose it will be a KEY or a KEY VARIATION. BREAKDOWNS are the poses that describe how a character moves from one pose to another. They help the action and acting move from key to key.Rarely will they be a straight inbetween. At the very least they will be poses that carry a lot of anticipation, follow-thru, overlapping action and successive joint movement. At the most they could be filled with enough character and storytelling that they might also be considered KEYS. If your keys, extremes and breakdowns are filled with personality and story, your inbetweens (or splined frames) can’t help but be filled with story and personality. This is the most fundamental breakdown of any scene or shot. It’s the animator’s outline: Introduction, body, and conclusion. It’s the animator’s room: Front door, room, and back door. 1. Where are you coming from? What happened to your character in the previous shot? What emotional arcs or conflicts did it carry that will spill over or flow through this shot? This is more than just thinking about proper hook-ups. Film is a communal structure. No shot is a Lone Ranger, it exists with great dependence upon the shots that precede and the shots that will follow. If a character, for example, has three shots where he reacts to a new piece of information, and each reaction is to be larger than the preceding shot, the first shot must be a much lesser reaction than the last. If it’s not, the last reaction will not have any punch left. That’s a very simple example, but it illustrates that each sequence carries with it certain arcs and progressions for each character. As shots break those progressions into smaller units the animator must strive to maintain those arcs. This is one reason we decided to give each animator their own sequence. What is the point of your character’s performance in the shot? Every shot has a main point, a reason for existence. Film and animation is an expensive medium. Writers, producers and directors spend a great deal of time in reproduction analyzing every scrap of dialog, every action and movement. We look for ways to enhance clarity and provide opportunities for entertaining performances. These are broken down again into mini-stages of performances called shots. Each shot represents at least one phrase in the script or story or character performance. Why does the shot exist? Having created a good performance that respects the preceding shots, you must now set up the next shot. You have to be like a pool player who isn’t going to take a shot simply because the shot is there, they chose their shots carefully and plan ahead so that when they take the shot the cue ball will then roll to an advantageous location setting up the next shot. It’s called a “leave.” This is what the animator must do in his or her performance. Your character must “leave” the shot in a very advantageous position for the net one. Think of it in these terms: 1. Leading pose, 2. Story pose, 3. Leaving pose. The camera is your audience. 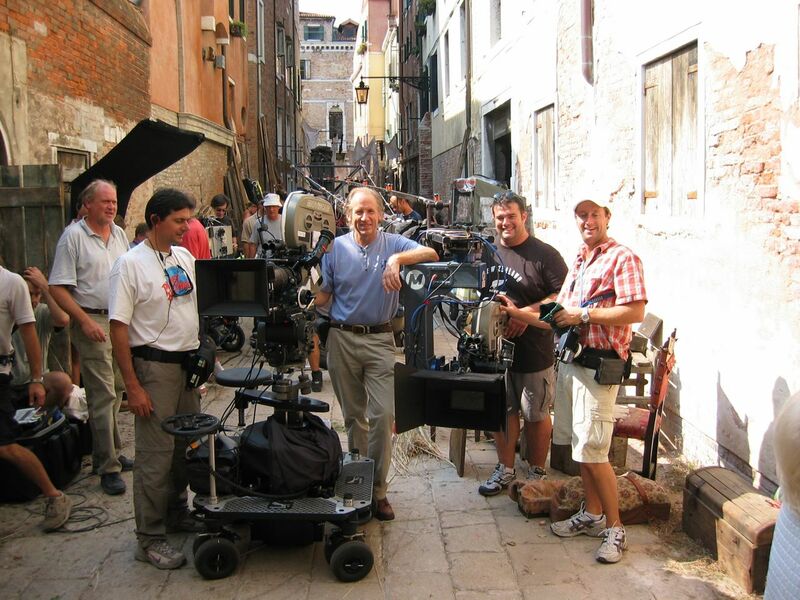 Actors always know where the camera is because it’s big, black, attached to heavy equipment and usually has three to four people hovering around it. It’s a built in audience. 2D animators always know where the camera is because it’s always exactly perpendicular to the sheet of paper. Computer animators aren’t quite so lucky. Their camera is a null in space that may or may not be visible. They also have the option of working to a multitude of other cameras from any angle or constraint imaginable. But at the end of the day only one camera matters. This seems like basic stuff, but it’s clearly not as plug and play as live or 2D. In our production we have one more added challenge to the mix: motion capture. Motion capture has a complete disconnect from camera. It is blind performance. The motion capture artist can be told in general where the cameras will be at certain points in the action, but when their performance all plays out the best they can be expected to do is to get it onto the ball field. Getting the ball from there, where ever that may be, to the base is the job of the animator. When you consider the mocap in each shot ask yourself if the character’s orientation to the camera makes sense. Is that the best angle for Mary? If not, tweak it to where she is stunningly beautiful. Why is Eli delivering that line when we can barely see his face? Why are we looking at the back or side of the head for so long? If they have to hit that side of the head pose because of their action, adjust the keys so your character has just the right amount of “face time.” Remember, the mocap is blind to the camera. Play play play to the camera. Eyes, even in still images, have a way of conveying life — or death. Imagine you were assigned to animate a blind character whose eyes were always open and could move. How would you convey the character’s blindness? Focus, or rather the lack of it. He would not be able to fix his gaze on anything. When he moved his head his eyes would remain constrained to his head. Eyes that are not dead and not blind, but alive with life, will always be fiercely independent of the skull which holds them. Always. Once their gaze becomes dependent upon the skull we begin to feel a lack of focus, a lack of life. Try this exercise and you will see clearly what I mean. Get in a place where you can look from your extreme left to your extreme right. Turn your head to the left and close your eyes. Now “pan” your head slowly from your extreme left to you extreme right in fluid controlled motion. Now do it again, this next time with your eyes open, and as you pan try to keep your eyes locked to your skull so that they don’t move. Can you do it? You can’t (unless you cross your eyes.) Your eyes always need to land on something. Always. Not once in your pan would your eyes pan. Now, let’s try the pan one more time. This time hold out your left hand at arms length and lift your finger. With the same slow speed, move your left arm from the left to the right and follow your finger with your head and eyes, keeping your eyes locked in your head. Can you do it? Of course you can. Your eyes have a moving target that matches your head motion. The point of this exercise is this. The eyes of a character who is alive and not blind will never follow the movement of the skull. Never, never, never, never. Ever. The movement of the eyes is always dictated by the environment and objects in their vision. They always lock onto something, whether that something is stationary or in motion. In your animation you must always lock your eye targets onto something. The only time they eyes will move in smooth motion will be if the character is watching a moving object. There are no other exceptions.If you don’t, even for a moment, you risk your character appearing to be distant or blind. What weight is to a character’s body, eye targeting is to a character’s face. Neither do you want to see float. There’s a reason good actors make astronomical sums of money — they can make or break a show. Think about your favorite films or TV shows. What do you remember the most? Usually it’s the character performances. After watching Fiddler on the Roof last night, I can’t imagine that show being a success with any other actor than Chiam Topol. He made Tevye. His performance defined that character and made him interesting. In fact there were a number of potentially dull and long moments in the story that could have easily died on the screen, but his acting made up for weaknesses in the story. His performance carried the show and made it memorable, and we come away from the story feeling like we’ve come to know a very interesting person. I can’t imagine Lincoln being made with any other lead than Daniel Day Lewis. The Lincoln script was filled with lengthy monologues and heavy dialogues of a political nature. Try reading the script. Had the screenwriter gone through the normal channels of having to get past a reader to get consideration the Lincoln script would have been passed on. It breaks all the rules and guidelines for getting a script considered. It contains massive blocks of dialog and exposition all the way through — deadly material in most hands. Spielberg’s genius was in assembling a stellar cast, which he himself has said is 50% of a director’s battle. An actor’s performance can make a mediocre script into a great film. But the contrary is true as well: an actor’s performance can make a good script into a bad film. The same is true in animation. Character animation performances can make or break a show. Many animators will take acting classes. Many others would read Stanislavski, Meisner and Michael Caine. Having mastered the mechanics of animation they would voraciously pursue the development of their character performance skills. As animators we need to think like an actor. We need to approach our scenes with the primary consideration of what our characters are thinking and feeling, what they are hoping for, what dreams are being compromised, and what they are anticipating next. Why do they react as they do? Why do they say what they say and do what they do? What is the nature of the conflict they feel? What do they hope will happen by responding to the conflict in this way? These are the kinds of questions you should be asking yourself as you tackle you scenes. Find the motivation. Create the motivation if one is not readily apparent. The goal is to create a performance that will entertain the audience rather than bore it. Boring the audience with a generic plain Jane performance is not an option. Find the entertainment value. Find the character. And finding the character means you bring thoughtful specificity to your performance. When you begin to see that you would animate Joseph one way in your scene, but if it were Eli you would do it much differently, then you are beginning to think in terms of character not mindless motion. Future posts will consider creating great performances for animators. In this video Glen Keane talks about Ollie Johnston’s animation and drawings. There are some great lessons in this video that I would like to apply to our film. Finding good key poses are half the battle of good animation. Key poses are first and foremost filled with clear personality. Personality and clarity create strong poses. Most animation scenes usually contain only a small handful of these key, golden storytelling poses. The keys surrounding those golden poses will be good poses that play a supporting role. They support in 3 basic ways. First, they lead into the pose from the previous pose. Second, they enhance the pose by giving the golden pose duration, variation, or strengthening it by going to an extreme. And finally, third, they lead out of the pose. What does this mean in terms of animation? Once you find that pose you must then consider how it will “live” in time. Unless the pose will be held rock solid, which is rare, you have to think about how this pose will move. We call it a ‘moving pose.’ A pose has a life of 1 frame (or 2 frames in 2D animation) and it needs tol extend long enough to do it’s job in telling the story. Sometimes it’s as simple as pushing it to a more extreme poses. Longer duration’s of life will require variations of the key pose, which means you must decide how the character will live in that pose by coming up with subtle acting business or secondary action. Using motion capture gives you a starting point. You can usually identify the key poses in motion capture and massage the data to better serve the story. Since we must still animate the hands and face we must still think of this animation in animation terms. The face and hands carry at least 50% of a character’s performance. The poses that lead into and out of the key golden pose can either weaken or strengthen that pose. How one gets from point A to point B is very important. Arcs, timing and secondary action convey weight and emotion. Used well they will create solid personality-filled characters. The characters you animate must feel like they have heart. They must come across as living, thinking, feeling characters. What matters is your ability of identifying with the heart of your character. Your characters are not robots who follow a predetermined series of movements. The only way to move from robot animation to character performance animation is to crawl into the heart of your character. What are they thinking and feeling at this very moment in your scene? What are they anticipating? What are they hearing from others and what do they think about what is being said? Are they afraid, and trying to hide it? Are they tuning someone out, as if they’ve heard it hundreds of times before? Are they trying to contain their excitement for the sake of “proper behavior” when in reality they want to run and jump and dance? In order to find great key poses you must get into the heart of your character. When you can identify with them, or feel how they feel, you can channel your emotion into good poses. Great poses come out of trying to get under your character’s skin.